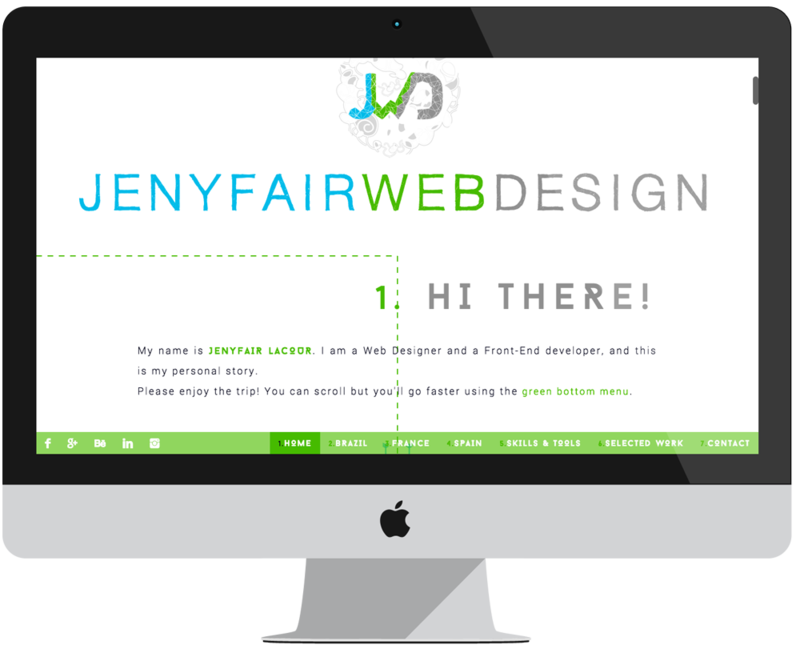 Jenyfair is our head of design. She wanted to create an online profile to present herself in an unconventional way. Her idea was to use a path turning around into the screen with several scenes, each one focused on a a different aspect she wanted to highlight. She wanted it to look like a journey. For this purpose we made the choice to use mainly JQuery in order to give live to the story, following a path that turns around the screen. As the website is highly based on visuals and as the user-experience we wanted to offer is hardly viable on a mobile, we chose to detect when the website is opened in a mobile device and switch to a more conventional mobile version in such cases. That means that our solution is fully responsive. We also did all the design and logo identity.